Defy gravity! 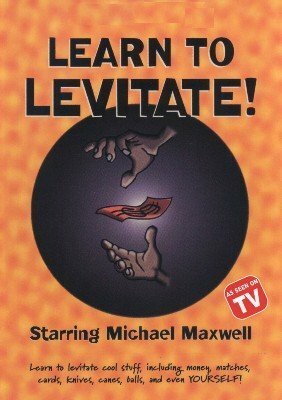 Learn the secret to levitate money, matches, cards, knives, canes, balls and even yourself. No effect compares to having an ordinary, everyday object seemingly defy gravity. Watch your audience gasp with delight and amazement as they witness the miracle of levitation. On Learn to Levitate , you will learn the closely-guarded secrets of making objects float in mid-air...items like money, matches, cards, knives, canes, balls and the coup de gras, yourself! Yes, it's true. With no special gimmicks whatsoever, you can give the perfect illusion of levitating yourself right off the ground. And even more, it's easy to do.